Review: Wow! 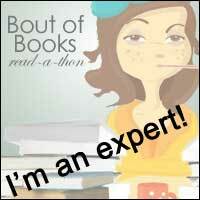 This book has it all, great characters, totally believable storyline and the full range of emotions! I got so much more than I was expecting to from this book. 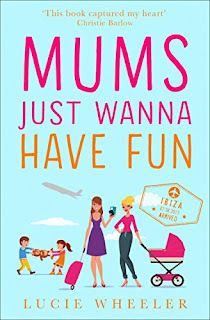 The story surrounds mums Harriet and Nancy and their children as they embark on a vacation that will mean more to them than they can imagine. Every part of the holiday and the stories that come from these mums could have happened to me or other women I know. I loved the fact that their lives are not straightforward and are not easy but they have been trying to keep going for the sake of their families and also to save face, I love that there is finally light shed on this happening! As characters they are great to spend time with. As I said, they are so easy to relate to and identify with. Their children are also easy to identify with, they are typical children in that they are anything but typical and I could easily see aspects of all of their personalities in many of the children I have worked with over the years. I thought it was a great choice made by this author to include a child on the autistic spectrum on their and shine a light on the various intricacies and nuisances that become different when you have a child with an additional need such as this. There are aspects such as school and crowded places, bed time and the use of technology that are explored and I think that Lucie Wheeler did a great job on all of these aspects. There were some great comedy moments in this book, everyone knows that children know just what to say at just the right moment to make everything funny and this happens so many times in this book. This book also made me cry, more than once. Happy tears and tears alongside some of our lovely characters, just what I want from a book. 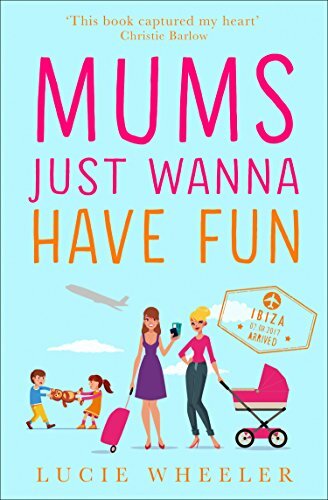 I am not a mum but I know so many amazing mums who are doing a fabulous job and think they are messing it up and so I can see where a book like this would be amazing for them. I would love to put this book into the hands of so many of my friends and really recommend picking this one up now! *Now Closed* 6 Year Blogiversary Giveaway! Books and More March 2018 Haul!